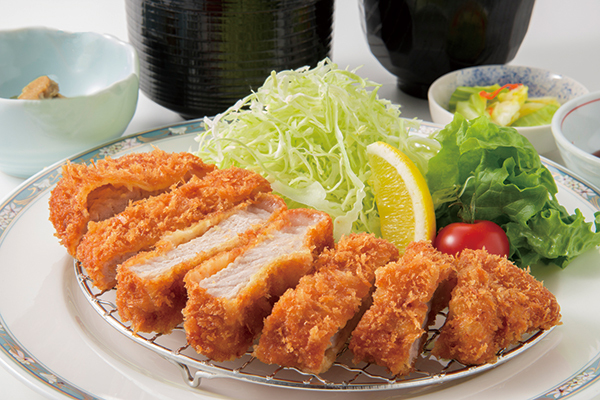 Kirishima offers one of Japan’s most popular dishes known as “Tonkatsu (meat cutlets)”, in short, a breaded cutlet from select cuts of pork. 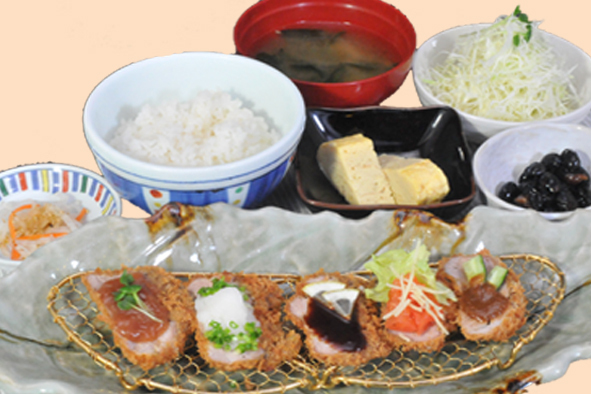 We serve a high-end Tonkatsu using high-grade meats from Kagoshima and Hyogo prefectures. 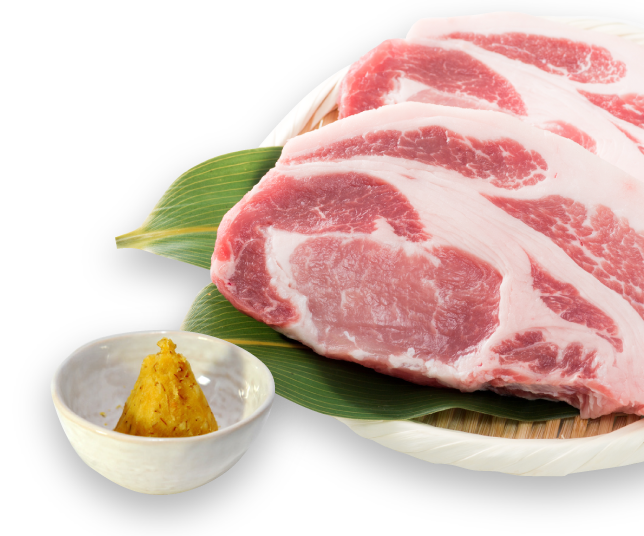 Kagoshima is known for its premier Berkshire pork. 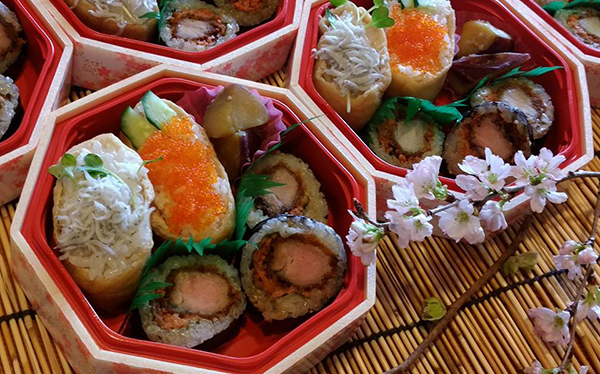 We also have a take-out menu for bentos (Japanese box lunches) filled to the brim with seasonal vegetables and our signature sushi roll, the “K-roll (Kirishima roll)”. 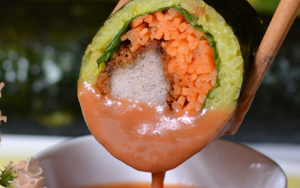 We pay careful attention to every details in meals we serve.. Prepared using only the most carefully selected ingredients. Each serving’s flavoring is individually prepared to suit your palate, and then lightly cooked to tender crispiness. We use four types of brand pork, including Berkshire and Chami from Kagoshima Prefecture and Yukihime and Ebisu pork from Hyogo Prefecture. Our premier cuts of beef are sourced from Kagoshima Black Beef, which took the top spot in the overall competition and won the award for best beef quality at the 11th National Japanese Beef Ability Expo held in Miyagi Prefecture in 2017. 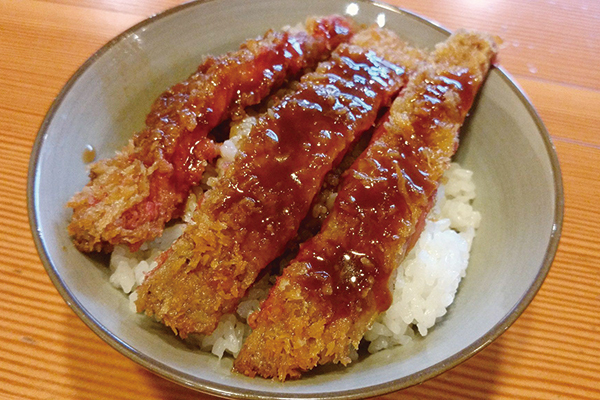 Selected by our 5-star rice master, we serve rice that best matches our Tonkatsu cutlets. We change our rice suppliers by season to sustain rice flavor and offer the best to our customers. We use wheat miso from Kagoshima Prefecture. The sweet miso enhances the flavor of our cutlets. We use 100% vegetable oils blended with cottonseed oil to enhance aroma, rice oil to bring out the flavor, and rapeseed oil to thicken. All oils are made with Non-GMO ingredients. We strive to provide a comfortable and cozy atmosphere where customers can enjoy and relax. We are happy to customize menus to better our customers’ needs in a way that only a small, family-run business can do! We understand our customers only spend a short time at our restaurant, and we want to make your experience a happy one! 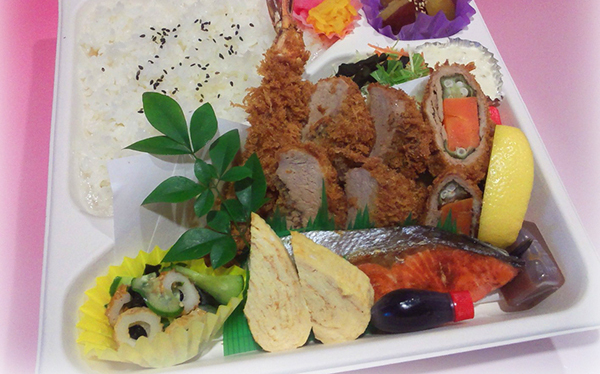 Please have an enjoyable with your friends, co-workers and family with our tasty home-made Japanese comfort food. 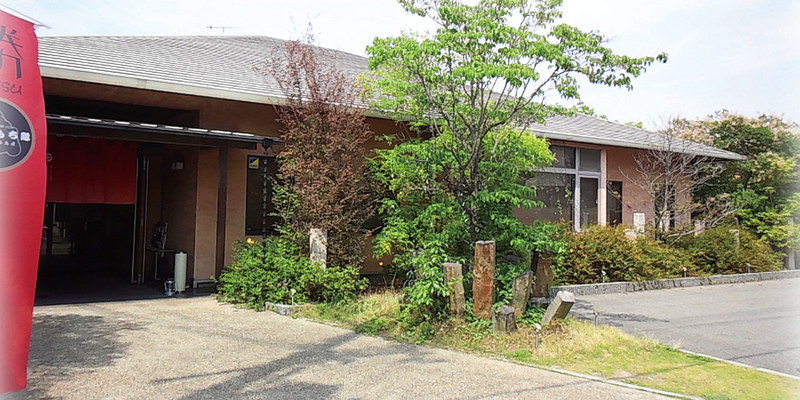 Our spacious restaurant is often selected for family gatherings, lunch or dinner meetings and loved and supported by local residents of Kakogawa City and surrounding areas. Orders are smartly taken by tablets. Spend a tranquil moment where customers can smell aromatic incense. We periodically open the restaurants for special business networking events, language classes, concerts, and other fun events as a venue for locals to get together. Spent her college years in Kagoshima, her paternal grandfather and mother’s home land. Returned to Kakogawa to work for a cable TV station. 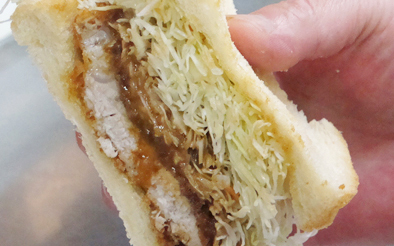 Rie has worked at “Tonkatsu Kirishima” since it first opened. She became the president of Kirishima at the age of 33. 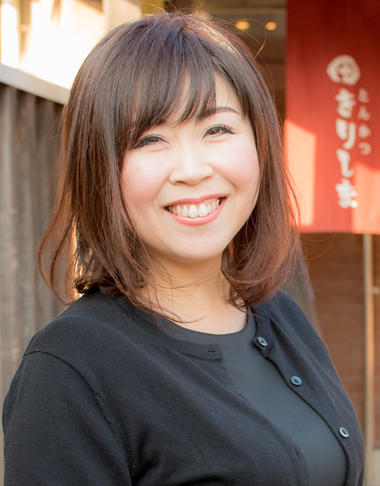 She manages the restaurant to make people happy through dining experiences based on Kagoshima where her ancestors are from, and Hyogo, her hometown. She believes that the restaurant is supported by the locals and would like to expand her business overseas. 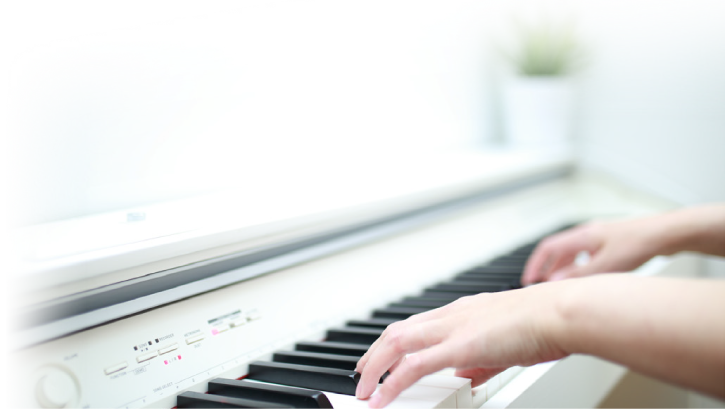 Enjoy our specialties at the relaxing, cozy restaurant where music plays and flowers bloom. Enjoy our various menus including our specialty “Tonkatsu” created with a high-end meats from Kagoshima and Hyogo Prefectures. Seasoned with salted koji to suit individual taste. 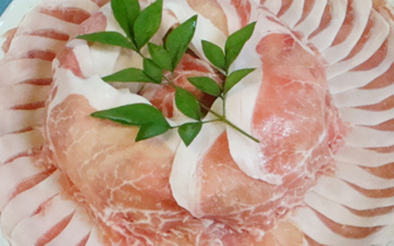 Flavorings in all of our dishes can be adjusted to individual preferences. Our popular winter menus. 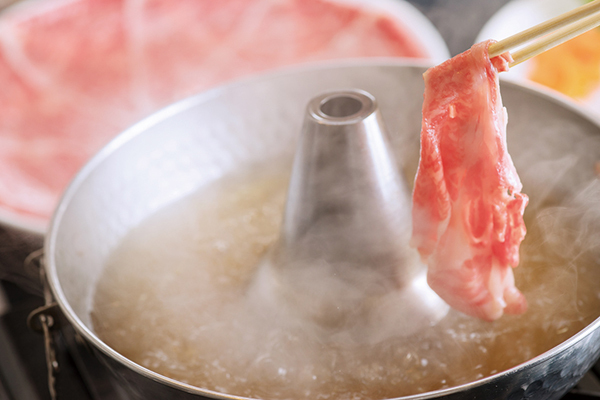 Taste our pork shabu-shabu with house original broth made with sweet soy sauce from Kagoshima. 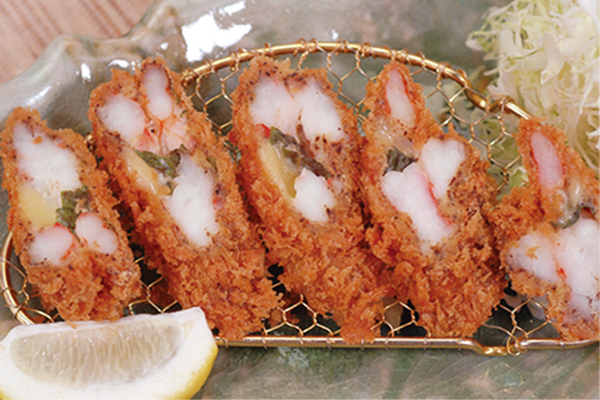 Or try crispy deep-fried oysters which are popular among people of all ages. 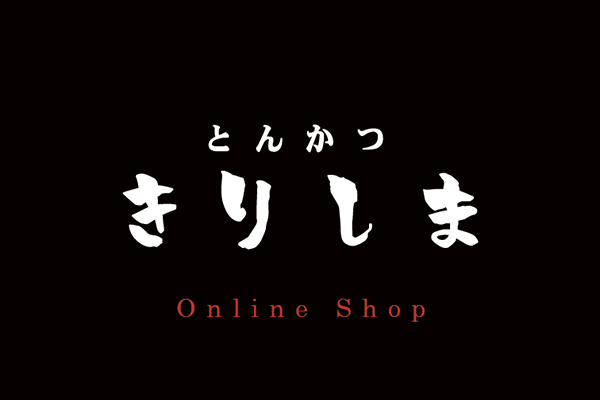 Our new online shop was launched to celebrate our 15th anniversary. 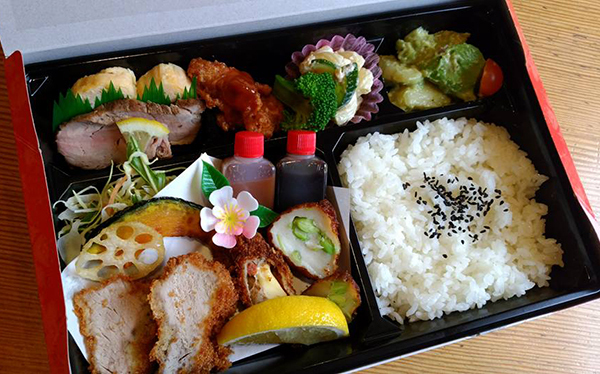 We are now able to deliver to people in areas remote from Kakogawa and Hyogo. We have packaged products as well. (currently only deliverable within Japan). 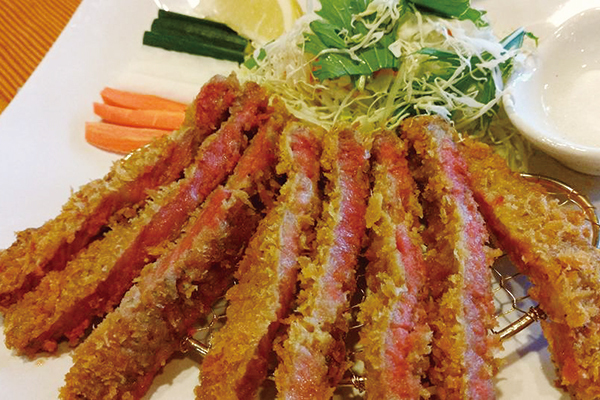 Golden brown, crispy beef cutlets made with A5, Japan’s highest grade beef. 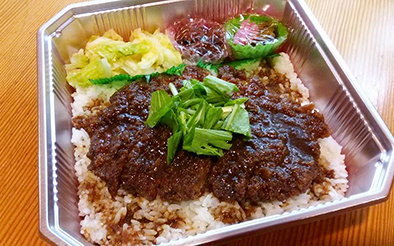 Try with our house original sauce and a bowl of rice to create “Katsumeshi”, a Kakogawa local cuisine. Kakogawa local cuisine, “Katsumeshi” in Kirishima-style. Our beef cutlets with house original sauce. 4 wild white shrimp are used for each serving! Savor the best match of shrimp and cheese! Half of our premium pork cutlets in canapé style. Enjoy 5 unique flavors; ume (salted plum), oroshi-ponzu (grated daikon radish with ponzu sauce), Worcestershire sauce, salad and miso. 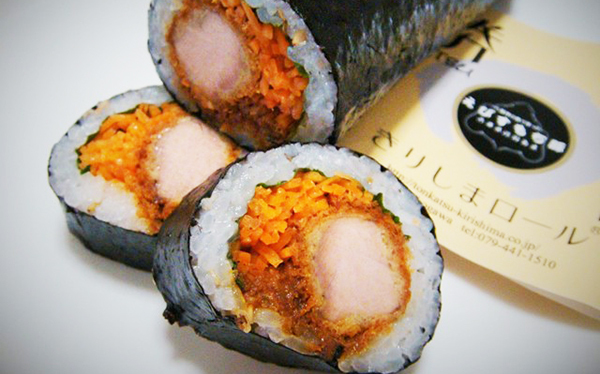 A fillet pork cutlet, crisp, thinly sliced carrots, “Oba” and sweet vinegar rice are rolled in a sheet of seaweed harvested from the Hyogo prefecture. Drive south on the Enchoji traffic light. Drive on the bridge and go straight for 150m and you will see our sign on your right. Drive north on the Shinobe traffic light. You will see our sign immediately on your left. © 2018 KIRISHIMA All Rights Reserved.